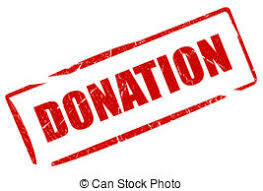 Are you interested in donating a 'non perishable food item'? If you go in the front double glass doors Monday-Friday 8am-8pm...there is a plastic bin to the left. Place your non perishable items in there. We empty it out daily. We can not take perishable items...AND PLEASE FOOD ONLY. If you have produce or perishable items..you can drop those off Tuesday or Thursday 8am-7om. 3rd Annual Walk for Hunger! 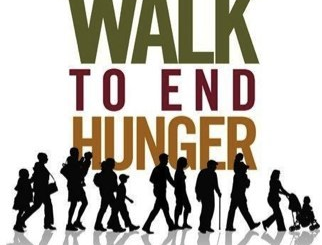 Mark your calendars for Saturday September 22nd for our THIRD ANNUAL Walk for Hunger! It is one of our most successful fundraisers and A LOT OF FUN TO BOOT! If you would like a sponsorship form...feel free to contact Kimberly at kfgates@gwi.net. She will email you one. WE ARE OFFICIALLY OPEN! 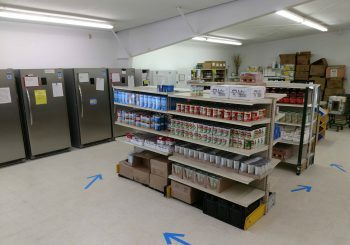 As of August 2nd, the Bath food pantry and soup kitchen ARE READY for clients! 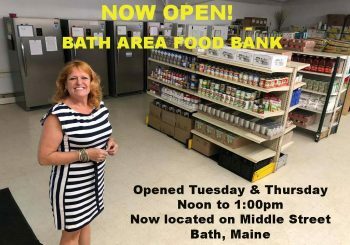 Our soup kitchen is open from 11:45-1pm, and the food pantry 5-7pm. Both are open Tuesdays and Thursdays. WE ALSO have hours strictly for students and case workers from 2-4.